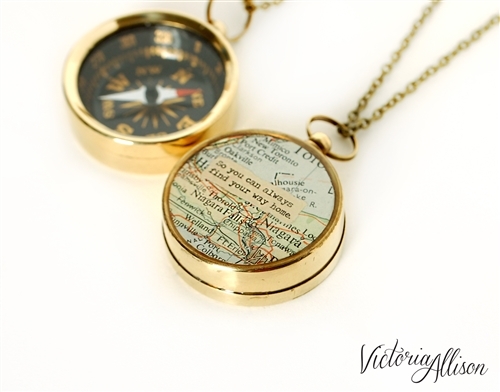 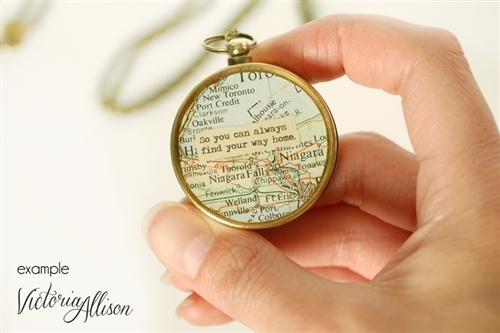 This working compass necklace features a unique vintage map cut-out, with an overlay of a quote in the center - "So you can always find your way home." 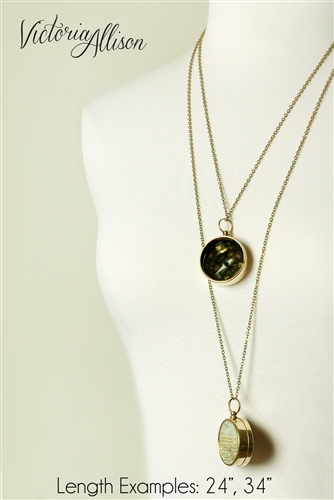 Available with your choice of chain length 24-34". 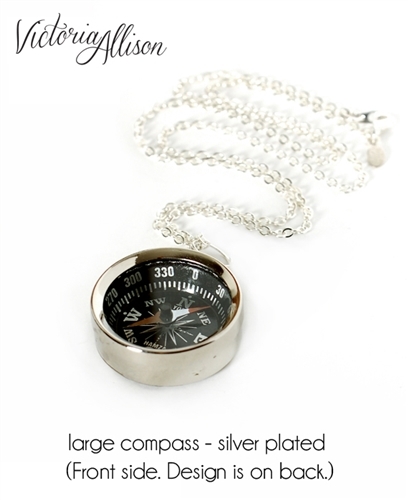 A Victoria Allison Jewelry original! 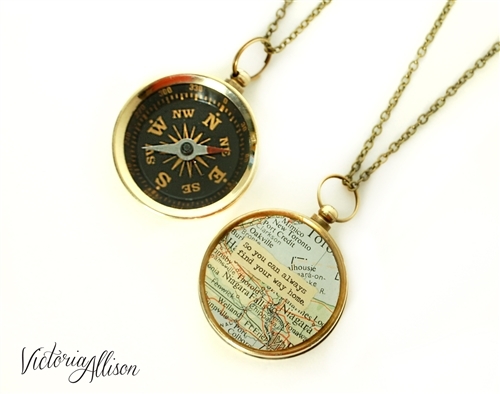 The back side of this working compass necklace features a random vintage map cut-out with an overlay of a quote at the center - "So you can always find your way home."